It's against the law for women to drive in Saudi Arabia. But as more women gain freedom to express themselves and live their lives worldwide, Some disgruntled female Saudis are getting bolder in their protests—and more creative too. Defying strict laws, an unidentified Saudi woman dressed like a man and drove in a video that has gone viral. But her cover-up certainly didn't work as she was caught and has been interrogated by police. 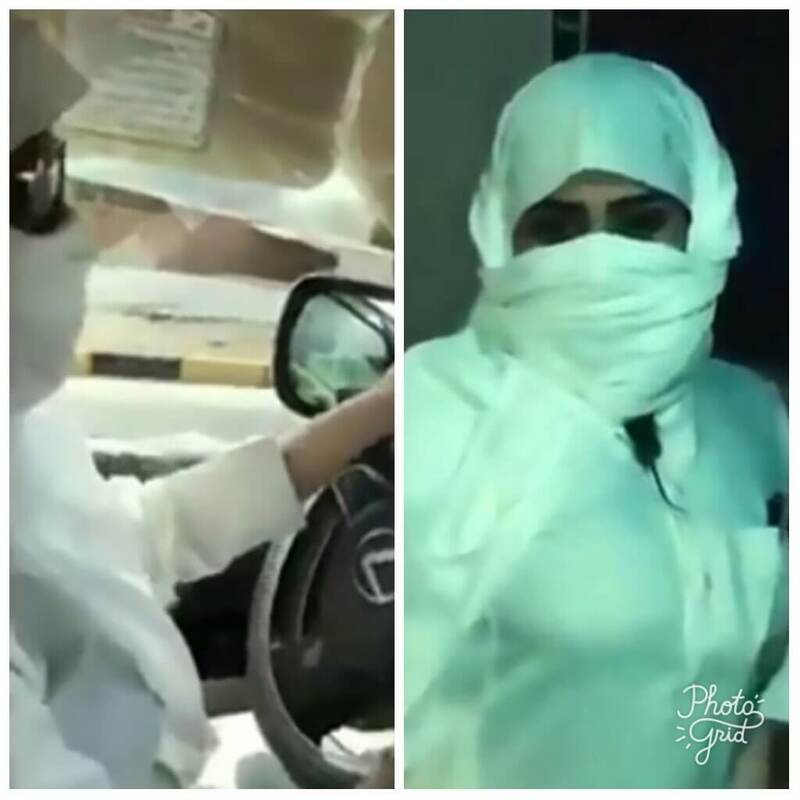 The unidentified female driver dressed in Saudi robes and a keffiyah – which is a traditional male Saudi headscarf – before getting into an SUV and doing some pretty sleek driving. Obviously one of the many women fighting for basic rights in Saudi, she later spoke into the camera with her disguise still fully in place. The incredible Footage that filmed of herself driving was later posted on social media, where it racked up 20,000 views in no time. Strangely, there is technically no law that stops women from driving. But the problem is that driving licenses which you need to drive legally are not granted to female Saudis. After viewing the video, many showed their admiration and support for the daring driver, but others where enraged and called for her arrest. During investigation, security operatives discovered that the video was filmed in the town of Al Khafji inside a ‘recreational facility’ north-east of the desert nation. Police have questioned both the driver and website owner where the video was released. No names have been released so far.